Ever since my son Ethan was born around eight months ago, my number of multi-day camping trips has reduced, opting more frequently for day walks instead. 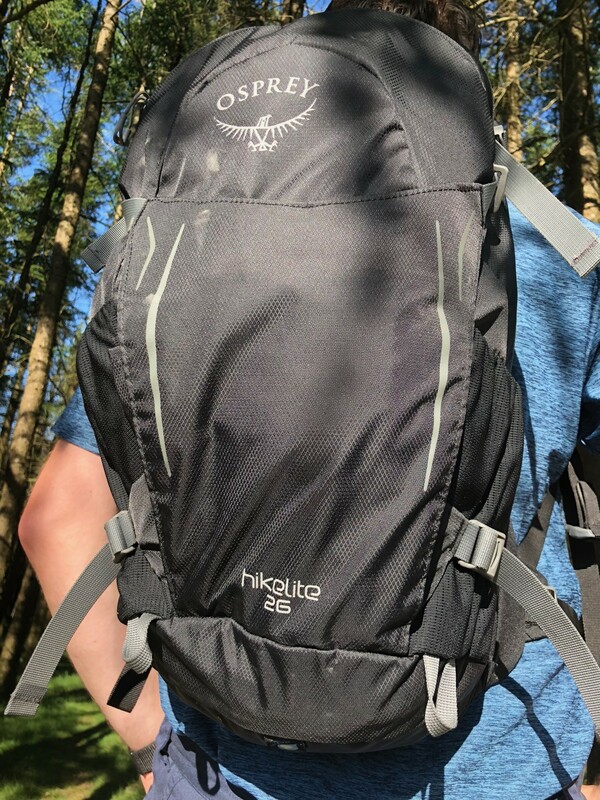 When Osprey sent the HikeLite 26 for review, it seemed a day pack was a good fit for my recent activities. 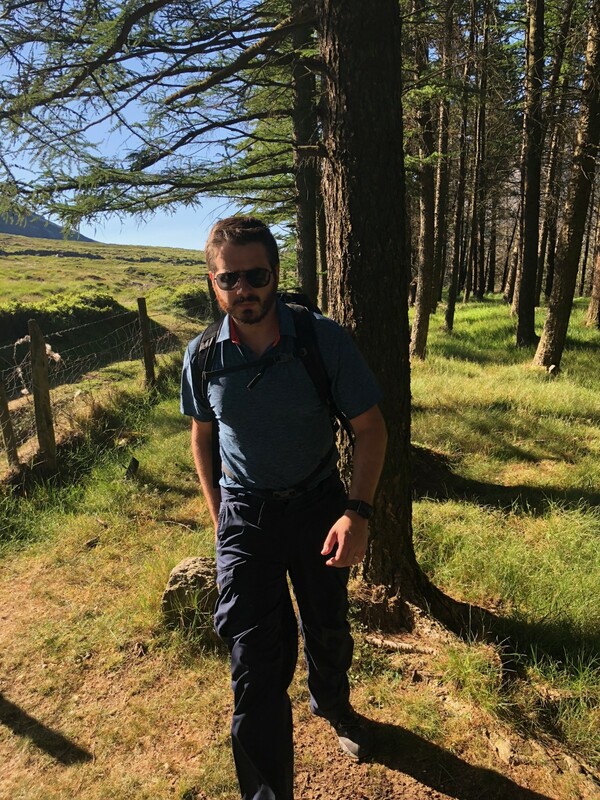 I’ve taken the HikeLite 26 on a couple of hundred miles of solo greenway walking, in addition to some hikes with friends in the Belfast hills and Mournes. The HikeLite 26 is a lightweight pack intended for day hikes or commuter use. It has a slim profile which lends itself well to city use, or passing through town on your way to/from a hike. As someone who has had more than a few odd glances for lugging around a mammoth pack, this makes a welcome change. You’ll notice the outer compartment in this pack is just below the Osprey logo. Rather than a webbed pouch or zipped compartment, this is a pocket which is held in place by two compression straps. It’s pretty handy for stuffing a hat or ultralight waterproof vest when not in use. Just don’t expect it to be the cavernous stash pocket you get on the likes of the Xenith. The side pockets are large enough to accommodate a large bottle of water without worrying about it falling out and are positioned as such that you can reach for them without taking the pack off, provided you have decent shoulder mobility. There’s two main compartments, the outer one being the lower of the two zips. The outer pocket has a clip for your keys and enough room for a mobile phone, charger, hat, gloves and a few small bits and pieces. You can also stow walking poles. I don’t use them, but this pack can accommodate them if you do. The main compartment is hydration compatible, or you can use the bladder slot for a laptop if you’re using it to commute. I’ve brought my 90 litre pack on commutes before I had a car, when I was camping straight after work. The looks I got from confused yuppies were priceless. This pack blends right in. As you can see the hip belt is very thin. It consists entirely of strap and buckle and has zero padding. It sits a little higher than I’m used to, but this hip belt isn’t there for weight transfer like you get with the heavier load luggers. Its main purpose is to prevent the pack from bouncing when walking and it serves that purpose well. Small and light comes with limitations and this is not a pack you would want to overload due to the lack of weight transfer to the hip belt. The sternum strap does its job and keeps the shoulder straps sitting at the right width. A side profile shot gives a good indication of how well the pack sits back from your body. This helps to prevent the excessive back sweating and bad posture you can get with packs which hug the back too closely. 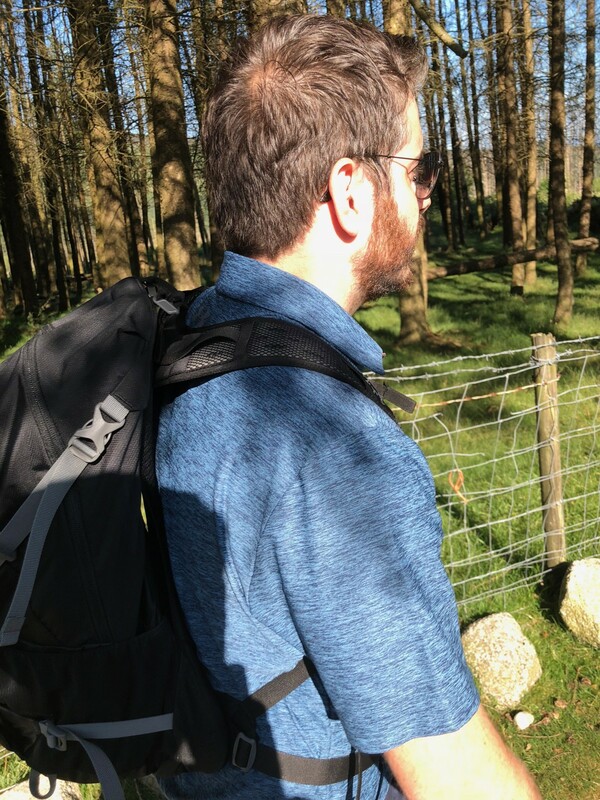 Much of my walking lately has involved anywhere between 2 to 8 hours of greenway walking, arriving straight into work for an evening shift, so I’ve found it useful that the off-back posture of the pack keeps things a little fresher. As you can see the shoulder straps have decent padding for a pared-down day sack. It’s nowhere near as luxurious as the memory foam you see on heavier load luggers, but this pack isn’t meant to be carrying that kind of weight. The longest I’ve walked with this pack in one stretch is 8 hours so far and it hasn’t irritated my shoulders or chest yet. Next weekend I’m due to use it on a three way hike on the Burren Way, so will be in a position to comment further on usage for longer spells. The bottom of the pack houses an integrated rain cover. Its made of the same material as the other Osprey rain covers so should turn a few showers, but don’t rely on it to protect critical electronics, dry bags are best for that. The recent extended spell of dry weather has kept me from testing this aspect of the pack, but the cover gives good coverage of the pack and should perform as well as the other rain covers on Osprey’s packs. The HikeLite 26 is an excellent lightweight day pack. It has good features for a pack in its class and sits nicely back from your body due to the Airspeed back system. The slim profile makes it suitable for city / commuting use and the integrated rain cover and hydration support are welcome in such a lightweight pack. The lack of an adjustable back system may bother some but I never found it to be an issue. 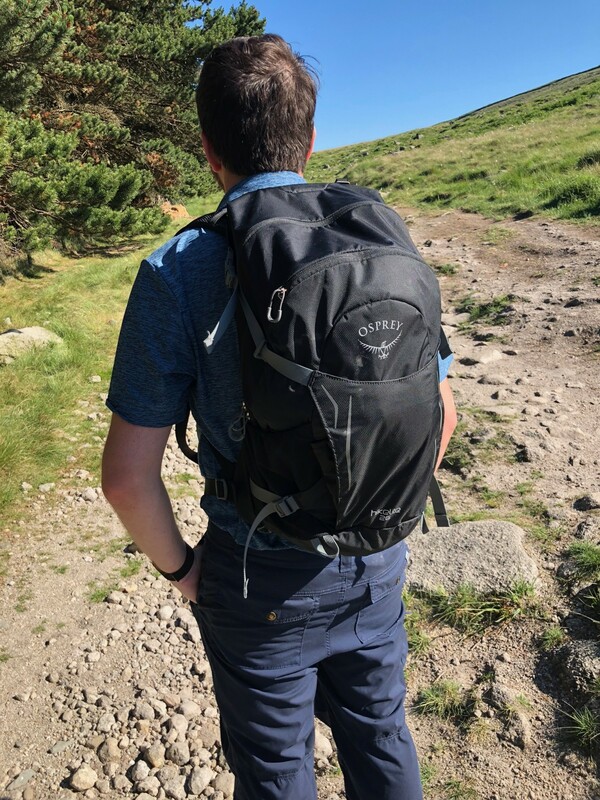 The price of 80GBP is on the higher end for newcomers or occasional casual use, but worth it for a comfortable pack getting regular trail or city use.